Utah Taxpayers Association – Free UTOPIA! 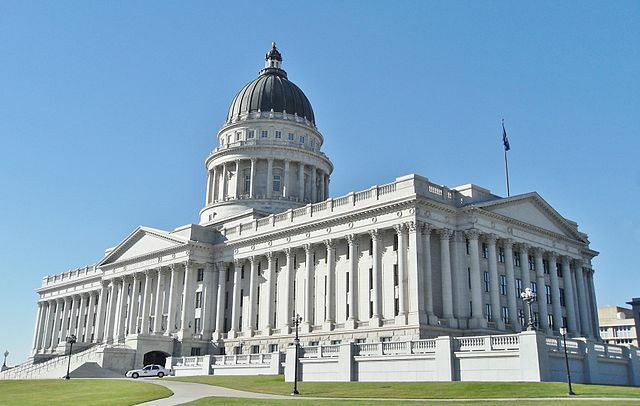 Man, it’s been a long time since I’ve had to write about the Utah Taxpayers Association. Once Royce Van Tassell left for greener pastures, the UTA was pretty quiet about all things UTOPIA. In fact, I understand that the last time UTA and UTOPIA sat down UTA left frustrated that they couldn’t find any good ways to spin the financials into more bad news. Trust me when I say I had a smug sense of satisfaction at that piece of information. It seems, though, that their financial overlords, uh, “members” such as CenturyLink and Comcast have sounded the klaxons to demand more sock puppeterring on their behalf. Newly hired Vice President Rusty Cannon spewed out the usual array of half-truths and flat-out lies in conjunction with Red Meat Radio host, now former (yay!) Utah State Senator, and UTA President Howard Stephenson asking all the usual leading questions. Unfortunately for them, facts aren’t even remotely on their side. The first assertion is that both UTOPIA and UIA are both “financial disasters”. This is a curious claim to make after years of silence. In fact, let’s look at the June 30 2018 financial reports for both UTOPIA and UIA. UTOPIA is covering its operating expenditures just as they have claimed for years, a substantial improvement over the last five years. UIA is actually increasing its net position. It’s hard to see the financial disaster being claimed, especially since anyone with a grasp on accounting principles knows it’s so much hogwash. Cannon goes on to claim that UTOPIA carries $297M in debt service, yet the latest financial statement shows only $282M in debt. Of that, just over $98.3M is in notes payable to member cities as a promise to pay them back for bond payments. Since UIA is generating revenues in excess of operating expenses, the cities can reasonably expect to be paid back as the bonds are converted into notes payable. Weirdly, Cannon also claims that UTOPIA has a shortfall of up to $2M in operating expenditures, yet the financial statements show very clearly that operating expenditures are being covered. You wouldn’t be blamed for wondering if he doesn’t know how to ready financial statements or if he’s just doing the usual UTA business of flat-out lying. Comically, Cannon cites a widely discredited Univeristy of Pennsylvania study on municipal networks as evidence that almost none of the projects work. Both Brookings Institute and our friends at the Institute for Local Self Reliance have delved into the results of that study and found cherry-picked data, incomplete data, falsified data, and false equivalencies. Choosing such a poor resource to lean upon exposes the weakness of the argument being made. Not one to be left out of the conversation, Stephenson then chimes in about the broken promised made under Roger Black nearly two decades ago with zero admission that the direction of the agency has changed dramatically in the last five years. Most incredibly, Cannon then tries to insinuate, just as detractors did almost 20 years ago, that fiber could be obsoleted by 5G (ha!) or some as of yet unknown technology. The claim is entirely preposterous both to anyone familiar with the telecom landscape and any halfway competent technologist not blinded by ideological arguments. Verizon has straight up said that the only way their 5G network will perform as desired is with (drumroll please)… deeply deployed gigabit or better fiber. Every year, the supposed speed limit for existing fiber strands is shattered with some new lab breakthrough. In 2018, a link topping 159Tbps (yes, terabits) was demonstrated over a distance of 1045km. The absolute fastest wireless product in a lab barely hits 10Gbps under the most ideal of conditions and at comically short distances. So why, after years of silence, is UTA roaring back? Probably because dozens of cities are looking at municipal fiber, they’ve seen what successful models have emerged, and UTOPIA has both proven those models and their operational excellence at running the largest and most-loved fiber network in the state of Utah. This is leaving incumbents terrified that there could be a wave of new municipal fiber builds reacting to their shoddy second-rate networks, infamously poor customer service, and generally acting as awful as you expect monopolists to. To the Utah Taxpayers Association: bring it on. I’ve wiped the floor with you before and I’m happy to do it again. The Legislature punts on new anti-UTOPIA bills, but for how long? In yesterday’s meeting of the Political Subdivisions Interim Committee (listen here), legislators sought to get a deeper understanding of what the Macquarie deal is and how it works. Unfortunately, most of the meeting consisted of the Utah Taxpayers Association spewing out fear, uncertainty, and doubt while the Utah League of Cities and Towns corrected the many, many mistakes they made. 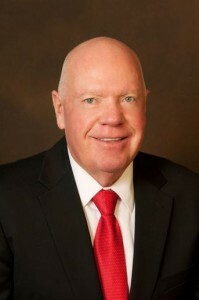 West Valley City Mayor Ron Bigelow also spoke and did a great job of detailing how cities are putting an extraordinary amount of effort to solve this problem on their own without state assistance. Worth noting is that the UTA made many very thinly veiled threats to sue to stop the Macquarie deal. It felt like they were using that potential legal morass as a justification for seeking more legal restrictions. 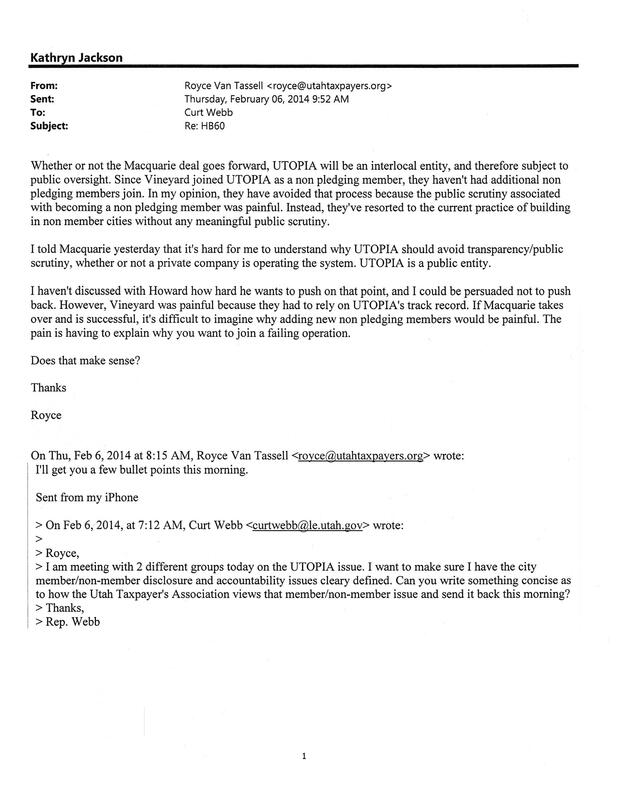 HB60 proponent Rep Curt Webb (who co-chairs the committee) also spoke against UTOPIA and seemed to have learned nothing from the massive amount of national negative press he garnered for his efforts earlier this year. Fortunately, the committee shut down an attempt to work on a bill to hamstring the Macquarie deal. They were directed to speak directly to Macquarie to get answers to some of their questions. Overall, it seems like the committee is content to watch things play out for now and is truly interested in learning the details of the deal. Since I’m sure they’re already getting plenty of misinformation from the CenturyLink-funded Utah Taxpayers Association, it’s probably time for you as citizens to email them and let them know that you’d prefer they take the hands off approach as well. Click here to email all of the members of the committee at once and let them know how you feel. Surprising precisely nobody, it appears that CenturyLink VP and long-time UTOPIA opponent Eric Isom is a member of the Utah Taxpayers Association’s Executive Committee. Per their June 2014 newsletter, he’s currently serving as the Secretary. You may recall he also was roaming the halls during meetings on HB60. If it isn’t crystal clear now why the Utah Taxpayers Association is astroturfing for CenturyLink, I don’t know what it’s going to take. Of course, CenturyLink has a lot to lose. With the announcement in West Valley City that Ooma will be giving away the hardware for free landline service, they could shed as many as 40,000 access lines and several thousand vanilla DSL customers who opt for the basic 3Mbps service. While that fits their moves to abandon residential wireline service entirely, it also cuts into the highly profitable business products they’ve been focused on for the last few years. CenturyLink could lose tens of millions of dollars per year if Macquarie completes the buildout of the network. I don’t think most people realize just how deeply CenturyLink is embedded in the Utah Taxpayers Association. Bring it up at every public meeting. Share this post on every piece of social media you can and do so often. Once more people realize the uNOpia effort is just CenturyLink protecting its turf, the tide will change. As if the hyperbolic uNOpia site wasn’t light enough on facts, the Utah Taxpayers Association also commissioned a report that repeats many of the same mistakes. Apparently the hope is that by repeating the same lie over and over, it’ll end up being true. In this case, it appears that Doug MacDonald, who prepared the report, chose to merely parrot what his client asked him to. Let’s go through section-by-section and find the glaring errors and omissions, shall we? Doug is making the same error of insisting on using inflation figures rather than constant dollars. This is misleading and no reasonable economist would dare do this. Constant dollars are the bread-and-butter of all economic analysis. Someone with his experience should know better. The report shows 149K households, but Macquarie’s Milestone One report makes it clear that they intend to build out 163K households. Macquarie will be contractually obligated to build, operate, and maintain the network for 30 years, but the report raises the impossibility of them abrogating the contract and still collecting the utility fee. He also hints that a future city council could attempt to break the contract, yet that would open the city up to massive liability. Apparently contract law is not a strong suit. Doug claims that cities have considered not making existing bond debt payments, but there is zero evidence of this. No city in their right mind would default on any bond obligation. Macquarie is assessing the utility fee to the cities who are free to figure out the most equitable way to collect it. The report, however, claims that the fee is mandatory for every resident. This makes no mention of Provo’s utility fee which is scaled so that businesses pay more and residents pay less or the planned waivers for indigent households. The report makes the absurd statement that anyone who doesn’t have UTOPIA either loves their existing service or doesn’t want any kind of telecommunications service. This is despite the readily available evidence that consumers absolutely hate incumbent providers. There was apparently no effort made to do any kind of survey, scientific or otherwise, to back this claim. The waiver for the indigent has been falsely characterized as a general opt-out provision. That is completely false. Macquarie has committed to investing around $300M in building out UTOPIA, yet the report hand-wrings that it will be very difficult, if not impossible, to find the money. Macquarie is an investment bank with $140B in assets, so I’m pretty sure they’ve got the money around there somewhere. The take rate figures provided in the report are completely inaccurate and measure the entire city as opposed to areas actually passed with fiber and able to be hooked up. There’s also no comparison to iProvo which achieved a 35% take rate with no install fee, a ubiquitous build, and terrible service providers. The “break even” mentioned in the report is way off. A wash on the Macquarie deal is around 35%. Covering all of the existing bond service as well is in the 55% range. Every ISP has committed to participate in the included basic tier of service, yet the report spreads more fear, uncertainty, and doubt about their participation. It’s obvious that Doug didn’t talk to a single one of them about this. I know for a fact that XMission, SumoFiber, Veracity, and WebWave are on the record with being strongly in support. Of the ISPs on UTOPIA, most of them do not provide services over other methods of transport. Those that do are often looking to get away from doing so. XMission converts DSL customers to UTOPIA. Veracity has gone so far as to build their own fiber to CenturyLink cabinets to get off of their transport. The idea that they will sell their service over competing infrastructure is not based in reality. The utility fee covers connecting the network to each address. The $50 reimbursement to ISPs is to cover any installation costs beyond that. ISPs do not have to front any money to hook up basic service customers. Doug again asserts that cities may choose to default on their existing debt obligations, a scenario that no city in their right mind would ever attempt. Macquarie has experience with telecommunications systems in Asia and is partnering with some of the biggest names in fiber optics such as Alcatel Lucent and Fujitsu. This is not going to be a project run by rank amateurs. The report cites a failed toll road project in San Diego to try spreading fear that Macquarie would walk away from a project, but the details, as usual, are much more complex. The project went through a Chapter 11 filing in which Macquarie had to write off their interest in the road, yet the road continued to operate. Macquarie has never stated that people will not need premium services. Even if lines will not be fully utilized, there is a huge demand for service provider alternatives just to get away from the terrible service provided by incumbent operators. Again, the utility fees are assessed by Macquarie to the cities and it is up to the cities to determine who pays what. Provo has already implemented a model where businesses pay a lot more than residents. Concern trolling to scare residents isn’t serious research at all. Evaluating the cost to sell or shut down the network is a farce. In either event, the bond reportedly becomes callable meaning that the entire amount is due immediately. Treating that as a realistic option doesn’t even make any sense. No evaluation of the probable value of the network was done. Instead, Doug pulled two numbers out of a hat: the $1 “sale” price of iProvo and the $86M in assets reported by UTOPIA. The “sunk cost” argument depends heavily on the fabricated “needed investment” and fallacious take rate estimates from number 3. As such, it can’t be considered a serious argument at all since the underlying assumptions are bad. The debt amounts cited in the Econowest report do not appear anywhere in the Milestone One report, yet it claims that they do. In fact, the Milestone One report makes it very clear that the principal and interest currently totals around $500M. This amount is in line with $185M of bonds over 30 years at a nominal interest rate. How that gets inflated to $335M is beyond me. Doug again screws up by claiming that UTOPIA debt is 69% of the level of state debt, yet the state debt of $35.7B works out to almost ten times the amount he claims. This is something easily discoverable with Google in about 30 seconds. Just like the auditor’s report it cites, this one fails to draw any distinctions between current and former management. Doug completely fails to consider any argument on the economics of utilities and trots out a “private sector” argument with no supporting evidence. I’ll just leave this piece on why he’s wrong right here. This report is sloppy and unprofessional, something that should be embarrassing for someone of Mr. MacDonald’s experience. There’s ample concern trolling and FUD on points that have been settled. Basic figures are completely incorrect and unsourced. Absolutely no effort was put into doing research to back up the conclusions. This amateurish work doesn’t read at all like it was completed by a professional. If this is really the best that the UTA can come up with, I’m going to have a hard time believing that opponents of the deal are going to make much headway. Wondering how the uNOpia site sprung up so quickly and with so much funding? Wonder no more. I have inside information that the payments for the entire operation come directly from CenturyLink itself. This isn’t too surprising since they rarely directly involve themselves in politics anymore, preferring to launder the money through hatchetmen like the Utah Taxpayers Association (who, of course, is heavily promoting the uNOpia site). Given how much CenturyLink stands to lose in the residential and commercial wireline market should this succeed, it’s no wonder they’re willing to spend thousands of dollars to try and upend it. This isn’t anything too surprising after the confirmed involvement of the Utah Taxpayers Association in HB60 and the suspected involvement in SB190 earlier this year. Incumbents will stoop to any low in order to protect their turf and keep prices artificially high. When it comes to simply making stuff up, nobody in Utah can top the Utah Taxpayers Association. The latest effort, “uNOpia”, is no exception, a mish-mash of arglebargle designed explicitly to rile up low-information voters into a frenzy (you know, like they did in Orem last year). The arguments are about as smart as a sack of hammers and so very, very easy to pick apart. Myth: The Macquarie deal is a $1.8B tax increase. Fact: The Macquarie deal has an estimated cost of no more than $1,173.6M. The only way it comes up as $1.8B is if you add in inflation. Even so, none of the UTA’s figures factor in the estimated $1-1.5B in revenues to offset the cost, revenues that, shockingly, will also rise with inflation. The real cost of the deal is around $6.22/mo per residence after paying the existing bonds, a far cry from the no more than $20/mo per residence the city will be charged and less than selling the network. Myth: You have to pay for the Macquarie deal even if you can’t afford it. Fact: The deal includes a built-in waiver for the indigent. It’s right there in the Milestone One document. Myth: UTOPIA will cut off your water if you don’t pay the utility fee. Fact: Centerville bundles all utility fees and pays them in a specific order in the event of an underpayment. Right now, water is the last to be paid. The city council can (and probably will) change that. No other UTOPIA city has this kind of structure, and UTOPIA itself has zero power or say-so in this arrangement. Myth: Elected officials have no say in UTOPIA if they accept the Macquarie deal. Fact: The UTOPIA and UIA boards will continue to operate as they have been and seats will be filled by the cities. Seats have historically gone to mayors, city council members, or executive staff (city manager, economic development, etc). None of this changes, and Macquarie will be bound to honor all contractual obligations of the deal. Myth: The market has a demonstrated record of providing all the bandwidth people are willing to pay for. Fact: The telecom sector has had the absolute worst customer satisfaction ratings of any industry on the American Consumer Satisfaction Index with Comcast as a perennial bottom-feeder and two-time recipient of the Consumerist Worst Company In America “award”. Surveys constantly show that Americans are unhappy with both the speed of their broadband connection and its price, and all evidence points to a dearth of competition in the broadband market. Myth: Utah law prohibits the utility fee. Fact: It was very clearly settled during the SB190 debate that the cities absolutely may institute this kind of utility fee. This is part of why the bill was killed before it came to a floor vote. In fact, The Utah Taxpayers Association gave a favorable recommendation to the exact same kind of utility fee in Provo to pay for iProvo. Myth: Large tech companies don’t locate in UTOPIA cities or use UTOPIA fiber. Fact: Mozy uses UTOPIA fiber and is part of EMC, one of the largest tech companies in the world. (Full disclosure: I work for RSA Security, an EMC subsidiary. They do not endorse my efforts here.) Overstock is dropping $100M on building a new Midvale campus. Symantec relocated its PGP acquisition from Draper to Lindon, a UTOPIA city. Tell me again how large tech companies don’t pick UTOPIA cities. Myth: UTOPIA causes tax increases. Fact: Non-UTOPIA cities raised taxes around the same time, and many UTOPIA cities did not raise taxes. There’s a much stronger correlation between tax increases and cities who bet a little too heavily on sales tax revenues from large retail establishments. Surprising exactly nobody, the Utah Taxpayers Association has launched an effort to try and derail the Macquarie deal using misinformation, half-truths, and outright lies. Using the sophomoric name “uNOpia“, they falsely claim that the deal will cost more (when it is actually less than selling), that those who can’t afford the utility fee will be forced to pay it (when the deal includes waivers for the indigent), and that cities lose all control of how the deal works (when it’s all hammered out in a contract). The lies are blatant hysteria designed to whip people into an unhinged frenzy, exactly the same as they’ve done time and time again on anything UTOPIA. The best thing you can do is make sure you show up at public meetings and counter the misinformation campaign paid for by incumbents CenturyLink and Comcast. It’s time for these hatchetmen to take a seat and let the adults in the room speak. Somehow the bill has gotten mischaracterized in the public eye. I have met with lobbyists and industry people over the past few days. I believe that much of the misunderstanding has been cleared up, and you may see a few minor amendments to provide that clarification. If it did what is being said of the bill, it would violate all of my conservative free market principles and run contrary to my voting record. Actually, Rep. Webb, we understand the restriction all too well. You’ve been had. Just own the turkey and move on. The bill does not prohibit infrastructure expansion. In fact it addresses no other entity than UTOPIA. UTOPIA is government entity created by an interlocal agreement and the public asks for and deserves transparency and accountability of them. The bill requires that any city into which UTOPIA expands become a member city. HB60 is not designed to damage UTOPIA is any way, but rather to provide clarity and accountability to citizens who may be involved in that expansion. When UTOPIA builds in a non-member city, it has to negotiate a franchise agreement with that city like any other telecom builder. It’s already on a level playing field. Non-member cities can enforce transparency and accountability via this agreement. The only distinction with a member city is that the franchise agreement has been negotiated in advance for the entire municipality. By prohibiting UTOPIA from negotiating franchise agreements except on a citywide basis, you’re making them play by a different set of rules. That is, at the very core, damaging. Why? Example: We must keep in mind that UTOPIA is an entity composed of member cities. If an expansion were installed in a non member city, and problems with the network arose; who would the citizens in that area turn to? That user is not a citizen of the proviing [sic] entity. Their own non member city could say “We are not UTOPIA.” If they turned to UTOPIA for help, those member cities could say “You are not our constituent”. We’ve already established that the franchise agreement gives the non-member city power to establish and enforce terms with UTOPIA. It seems like Rep. Webb either doesn’t understand franchise agreements or is convinced that unless cities increase their involvement with UTOPIA, they won’t enforce the provisions of them. The former is most likely as the latter is simply outlandish. Unless, of course, he’s conceding that cities don’t properly enforce the terms of franchise agreements with operators like CenturyLink and Comcast. That, however, seems unlikely. The bill only applies only [sic] to government entities as providers, (iProvo no longer applies), and requires as a matter of government accountability to users, that expansion areas become member cities. Some already have. The cities are and have been accountable to their citizens, member or not. So I find myself wondering how his confused logic spawned this bill in the first place. 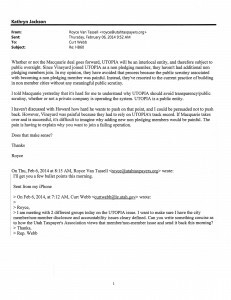 Then I came across the one email not between Rep. Webb and someone furious at this bill: an exchange between himself and none other than Royce Van Tassell of the Utah Taxpayers Association! Most telling, Rep. Webb emailed Van Tassell directly and out of the blue to solicit their talking points on the issue. Unshockingly, the UTA has the same fundamental misunderstandings of how franchise agreements work as Rep. Webb expressed in his missive. Van Tassell also alluded to the push coming straight from UTA’s president, Sen. Howard Stephenson. Don’t take my word for it: read the email yourself. This is just the latest in the long and disturbing trend of incumbent providers funneling money into a sitting senator’s company to influence the legislative process from the inside while keeping their hands “clean”. How the voters of Draper can tolerate it is beyond me. It’s my hope that they’ll wise up to it and send Stephenson packing.